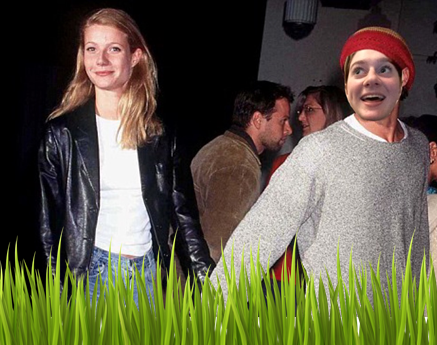 When I think of wellness I envision running through a lush, green field hand-in-hand with Gwyneth Paltrow – sipping on green juice and eating raw vegetables (FYI the google search for that very statement didn’t prove very fruitful, so enjoy this expertly edited image of my face on Brad Pitt’s body – with added faux grass). Nowadays, the term wellness has become a hackneyed phrase used to describe a seemingly aesthetic lifestyle. Now a $30 billion industry in the US, I wonder, has the pursuit for a healthy lifestyle lost its substance? When Paltrow was going through her split from Chris Martin, she used the term “conscious uncoupling” because some people are too good for divorce. Yes, it’s a pretty strange list, however in Goop’s first open conference last year, Paltrow stated her mantra was to “try to do everything I can to live a life that feels really good,” and isn’t that the real meaning of wellness – to do whatever you feel is right for you to feel well? That may be buying that £4.50 superfood smoothie after a fast food binge simply because it will make you feel like you’re making a difference, or rewarding yourself with a cookie after eating healthily. Following what you think is right for you is the real idea behind wellness. This is discussed in the Vogue mini-series with Camilla Rowe titled “What on Earth is Wellness?” The way we punish ourselves for either not going to the gym when we said we would, or telling ourselves we’re weak when we snack is more detrimental to our mental health than staying at home or eating those snacks. For the people who bought the sold-out Yoni egg on Goop, whether it works or not is really up to the way you think as a person. If you really think it will aid you in some way, then you will begin to be in the mindset that it’s helping. The placebo effect is not necessarily a negative thing – act positively even if you don’t feel it and eventually you could get yourself believing positively. If you think that green smoothie you bought is actually cleansing you in some way you might start to feel better. For a long time mindfulness has taken on the bravado of something we do for vanity – you eat healthy to look good; you go to the gym to try an improve on a physique that you would most likely be content with if you weren’t constantly getting told that you should look and feel a certain way. Wellness is about doing what feels right for you. And anyway, I think you look great! Previous Post What if you already are your best self? Next Post What happens after you get the modelling contract?